Vivid Foods celebrates the joy of eating well. Made with organic ingredients, including whole vegetables, herbs, and spices, our creations can be used as a dressing, dip, or spread to enliven any dish. 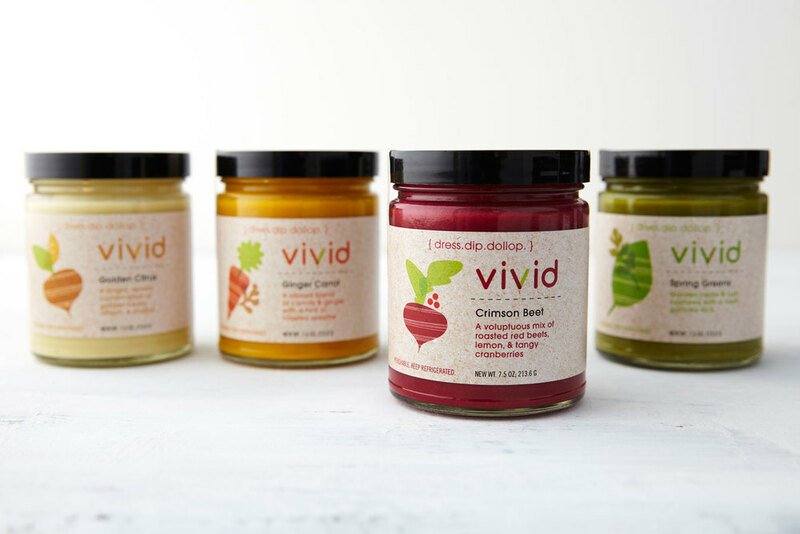 Vivid products are vegan and gluten-free, and contain no added sugars. That’s right – not a speck of artificial anything. With Vivid, you can add color and flavor to every meal that comes out of your kitchen. Or simply eat it out of the jar with a spoon. We’ll never tell.